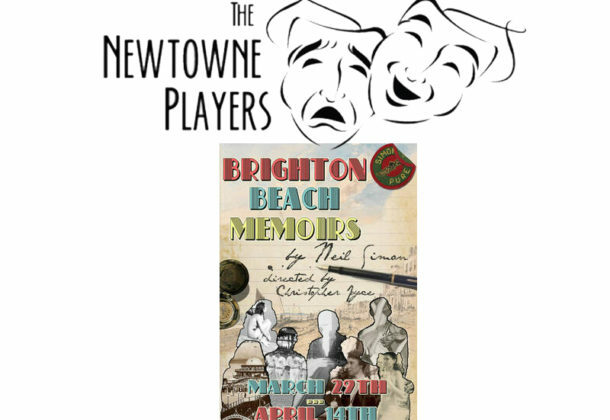 The Newtowne Players will present “Brighton Beach Memoirs” from March 29 to April 14, 2019, at the Three Notch Theater, located at 21744 South Coral Drive in Lexington Park. The plot begins with the character Eugene dreaming of baseball and girls. He must cope with the mundane existence of his family and life in a crowded, lower middle-class Brooklyn walk-up. He has a formidable mother, an overworked father, and a worldly older brother named Stanley. The next thing thrown into the mix is his widowed Aunt Blanche and her two young (but rapidly aging) daughters, and these things add up to a recipe for hilarity. Tickets for the show are $15 for adults; $13 for military members, seniors and students; $10 for children younger than 12; and $10 Thursdays for all tickets. To receive updates on possible weather related closings via text message, text NTPALERTS to 84483. The Newtowne Players in Lexington Park is a 501(c) (3) non-profit organization. If you’re a fan of theater and want to get involved, the Newtowne Players is seeking talented volunteers. There is a need for people who are interested in directing shows on the NTP stage for the 2019-2020 season. There is also a need for Assistant Art Director and Junior Assistant Art Director positions. Anyone who would like to be considered for the role or would like to nominate someone qualified (and would be interested) can email the Production Committee at production.chair@newtowneplayers.org.